The Genealogy Events Calendar entries this week for local and national family history community alike! 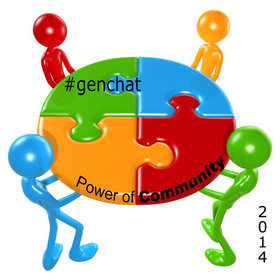 It’s #NGS2014Gen Week!! The Who Hunter’s Events Calendar is having technical difficulties at the moment. I hope to have this resolved and back to adding local events very soon. I’ll be making a mad dash to the Charleston County Public Library today for a little client work. If you see someone come flying in with her hair on fire you’ll know it’s me. Be sure to say hello! If you’re in Richmond, friend me on the conference app. If your not yet using the conference app see my post about this amazing tool here. If this is your first time attending a national conference than review Rorey’s Rules here. In the evening I’ll be at the Family Search hosted NGS Blogger Social followed by the Association of Professional Genealogists Dessert Reception. The day starts early with the Find My Past VIP Breakfast and Registration. 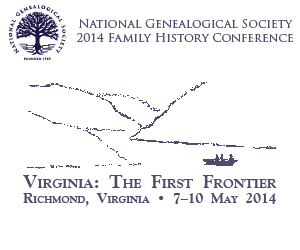 I’ll be volunteering for Federation of Genealogical Societies (FGS) Booth 113 until joining the Family Search Luncheon. Sessions in the afternoon. I’d tell you what lecture I’m planning on but I have 3 choices (Rorey’s Rule No. 2) for the 2:30pm time slot. I won’t decide until the last possible moment on that one. However, I am heart set on attending the 4pm session “W158: Finding Your Irish Ancestral Place of Origin” presented by Terry Koch-Bostic. I’ll be back in the FGS Booth 113 most of the morning, but I hope to squeeze in Stefani Evans’ “Oh, the Things You Can Map: Mapping Data, Memory, and Historical Context.” I’ll be at the Board For Certification of Genealogist luncheon. The afternoon will be full of tough decisions: I have a plan A, B, and C for each slot. I’m looking very much forward to attending the ProGen social this evening. ProGen has been an amazing experience for me and our group, 19, is winding down to the final months. It will be good to hear and share stories with others at this event. F307 Inheritance Laws and Estate Settlements in the Carolinas by J. Mark Lowe. F318 Tract Books: Master Index to Federal Land Records by our fearless ProGen leader Angela McGhie. F321 “Of Sound Mind and Healthy Body”: Using Probate Records in Your Research by Michael Hait. I’m an advocate of using probate as early in your search as possible. I’m interested in Michael’s take on the subject as he and I don’t always agree on all things genealogy. F341 The Seanachie: Linking Life and the Law through Storytelling by Judy Russell. F353 Criminals, Soldiers, and Apprentices: Unique UK Records for Your Research by D. Josh Taylor. Starting early with “S401 Using and Evaluating Family Lore: She Married a Distant Cousin in Virginia” by J. Fonkert. I’m working on a case study-blog post based on the chase for proof or refutation of a particularly long held family story. I’m interested in how another genealogist approaches the topic. S441 Working with Documents: The Importance of Context in Record Analysis by Barbara Little. I’m developing a workshop on this topic and would be interested to see Barbara’s take on this oft overlooked aspect of document work. S442 Taxes: The Gift That Keeps on Giving…to Genealogists by Sharon MacInnes. I’ve used tax records before but I’m interested in Sharon’s take on making the correct identification of your ancestor in common, or commonly misspelled surnames. S443 How to Prepare for Successful Research in European Records by John Colletta. John is a very engaging speaker and I’m ready to cross the pond on several lines. And somewhere, amongst all of this, I have to find the time to enjoy the Exhibit Hall. I hope you’ll say hello if you’ll be joining me at any of the events above. 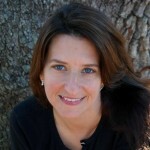 I’d sure love to meet and talk with you about our love for South Carolina Genealogy! Happy Hunting and See You in Richmond! « NGS 2014 Conference App is Apptastic!